Applicants are advised to go through all parameters under different Paras and Sub-paras of this Notice and satisfy themselves about their suitability on age-limit and Essential Qualification for the post, before applying. Applications are invited from eligible candidates for the following post in the format given in this advertisement. Educational Qualifications : Matriculation or equivalent with a Certificate Course in Library Science(One year’s course after matriculation) with three years experience in a Library/Documentation Centre. 2. FEE PAYABLE: Rs.50/- (Rupees fifty only). No fee for Woman candidates, Physically Handicapped, Scheduled Castes, Scheduled Tribes and Ex-S. However, no fee concession would be admissible to Ex-S who would otherwise be considered as general candidate. Such candidates are required to pay the requisite fee. Fee concession is not admissible to sons, daughters, and dependents of Ex-S. Service clerks in the last year of their colour service are not exempted from payment of fee. Note: Mode of payment of examination fee should be in the form of CRFS (CENTRAL RECURUITMENT FEE STAMP) available in major Post offices. 4. HOW TO APPLY: Applications must be submitted in the format published in the Employment News / Rozgar Samachar dated 15.11.2014 Application form is also available on the Regional Office‟s website http://www.sscner.org.in. Applications should be submitted to the Regional Director as per the address given in the notice. Note(1) : Applications submitted on a format which is not exactly the same as published in the advertisement are liable to be rejected summarily. Note (2): Commission may consider conducting the screening test or Proficiency test, wherever applicable, at its discretion. (i) Central Recruitment Fee Stamps of Rs.50/- affixed and clearly cancelled on the application form. (iii) Two self-addressed envelopes of 12 cms x 25 cms size, one of which should be affixed with postage stamps worth Rs.6/-. 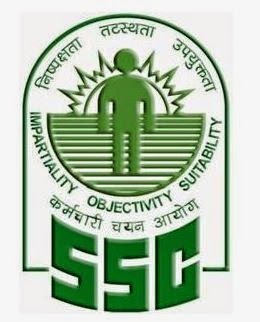 (iv) Documents in support of claim of SC/ST/OBC/PH/Ex-S.
(v) Self attested copies of certificates and mark statements pertaining to all the years showing age and educational qualifications. Any wrong attestation so as to mislead the Commission or to gain access to the recruitment would lead to criminal/debar action against the candidate, besides cancellation of the candidature. All original certificates will be checked at the time of Personality Test/Skill Test, as the case may be, and the candidature is subject to the result of such scrutiny. (vi) Documents in support of claim of age relaxation (for categories not covered in item (iv) above). (vii) Self attested copies of experience certificates. Head of Office/Department that they have applied for the post. 6. Closing date: Completed application forms should be received latest by 15.12.2014 (5.00 P.M.) Incomplete applications will be summarily rejected. Applications received after the closing date will not be accepted. 21. The application, complete in all respects, should reach the Regional Director (As per address given below) by 15.12.2014. Incomplete applications will be summarily rejected. Applications received after the closing date will not be accepted. Housefed Complex, West End Building, Beltola Basistha Road, Dispur, Guwahati-781006.